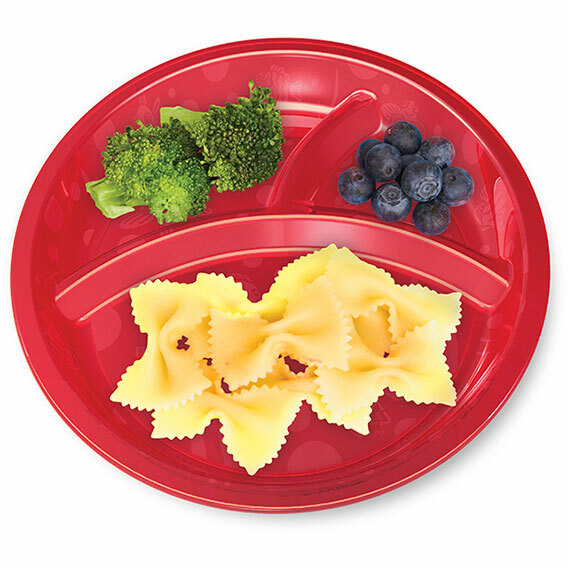 Make meals fun for your little one with our handy Divided Plates. Featuring subtle fish designs, these plates have three sections to keep the peace for even the pickiest of eaters - so you never have to endure another mealtime meltdown because the berries touched the bowtie pasta. They're perfectly sized for toddler meals and fit nicely on high chair trays and small place mats. Matching bowls and cups sold separately.